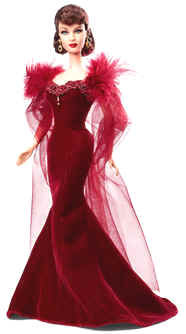 Images are surfacing of the new 75th Anniversary Scarlett and Rhett dolls – beautiful renderings, indeed! These will display nicely with your red Scarlett dress collection, as we reported here. 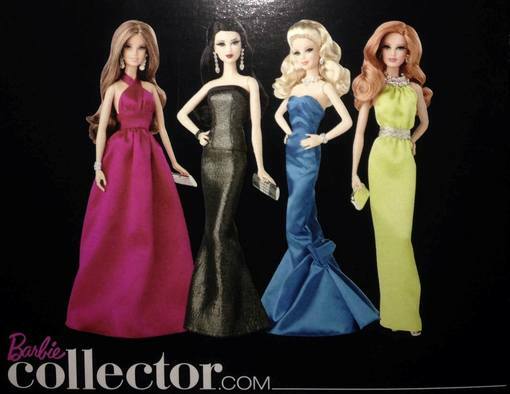 We’re also thrilled to report the new Barbie Look releases #5-#8 – beauties, all four! Remember, the gray gown #6, is a retailer exclusive. 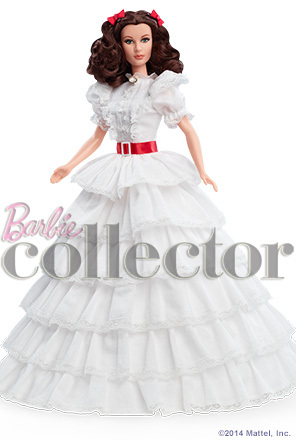 Images are from Mattel, but they are not appearing on BarbieCollector.com as of yet.